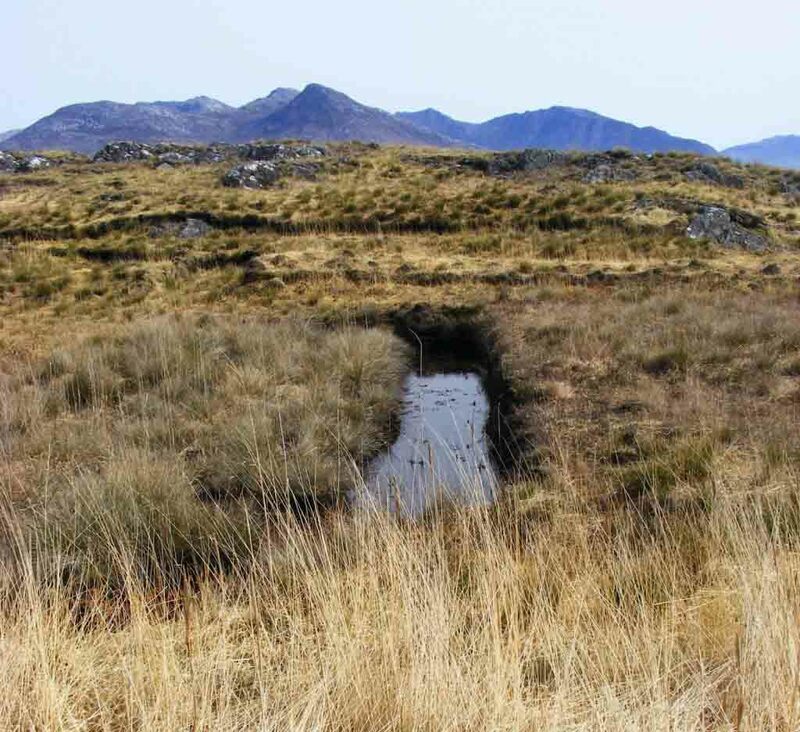 One of the most characteristic features of the landscape in Connemara is it’s blanket bogs. It is called a blanket bog because from a distance it appears to hug the ground like a blanket. It was formed in wet, upland areas where there was a lot of rainfall around 2500BC. This happened when farmers cleared the land of forest so it could be used for pasture. They chose the higher ground where the forests there were not so thick. However, when the trees were removed, the soil became waterlogged and more acidic due to the rain. By around 500BC, at the end of the Bronze age, the farmers were forced to clear the forests lower down as the land became unusable. Heather and thick grasses were able to grow in the upland areas but their debris did not decompose and so a layer of organic material or peat began to build up. People began to cut the peat ( called turf when cut ) and use it for fuel in the 17th century. This activity continues to day and there is much debate about methods of harvesting and conservation of our bog lands for the future. However, small scale cultivation has been going on here in Connemara for centuries and has kept the population supplied with fuel for the long Winters. This must also be something worth protecting. As anyone who has ever visited this part of the world will know, there is nothing quite like the warm and seductive smell of a turf fire! The appearance of the bog changes from season to season. In Autumn, the grasses and heathers turn from gold into a bright orange which creates the effect of a burning landscape. Spring brings new growth in the form of bright luminous green shoots. In between these seasons the bog appears on a spectrum that is sometimes awash with the pink and purple of heathers and sometimes black and dark like the moors of a Bronte novel. 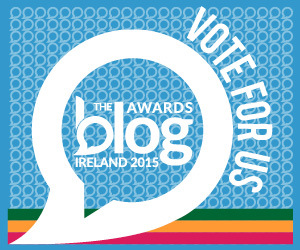 I took these photos of the bog below, near Clifden. 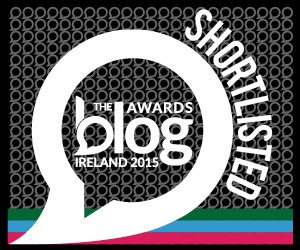 This one is on the road to Roundstone. The cut bog in the foreground has filled with water. 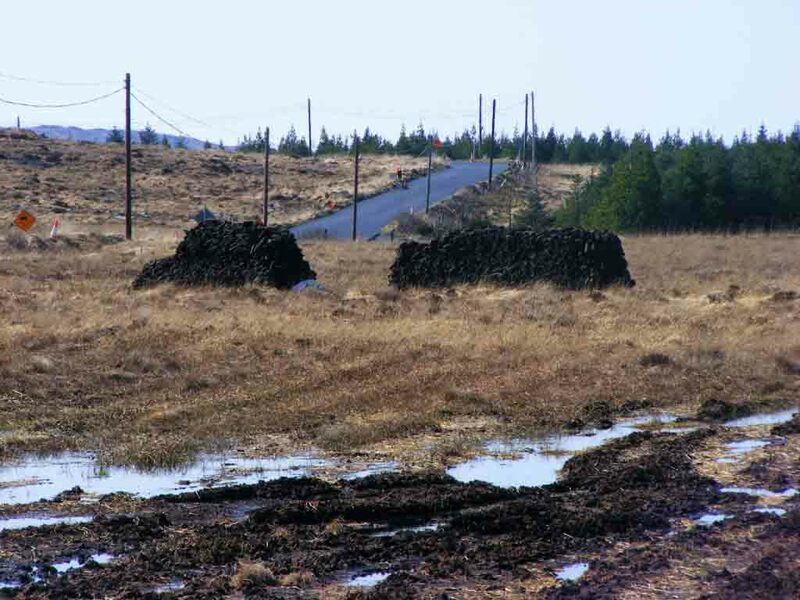 This next photo was taken on the Clifden to Letterfrack road and shows the waterlogged ground with stacks of turf drying out in the back ground. We celebrate the bog annually through music and art in a week long festival which takes place in the nearby village of Letterfrack. It is an excellently organised schedule of events based around our boglands. I have been fortunate enough to participate in the Bog week art exhibition for several years and for me it is always a welcome opportunity to return to this subject. This next photo is of a painting I did last year for the exhibition. It is very small ( about 3″ x 4″ ) and it is done on a thick bamboo paper. I really enjoyed working with a dark range of colours here. In life the water on the bog surface reflects the the sky between the clouds, which is sometimes a startling blue. This is not conveyed very well in my photos above but I have used this effect here and in many other of my paintings. 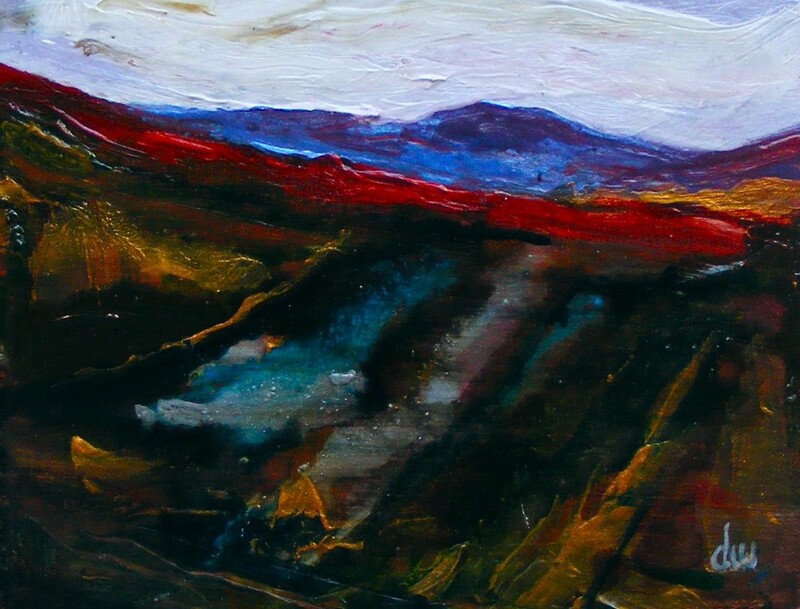 The blanket bog is so much a part of the beauty of this area and it is a subject that I will keep returning to in my work. This entry was posted in Paintings, Photography and tagged acrylic paint, black, bog pool, bog. 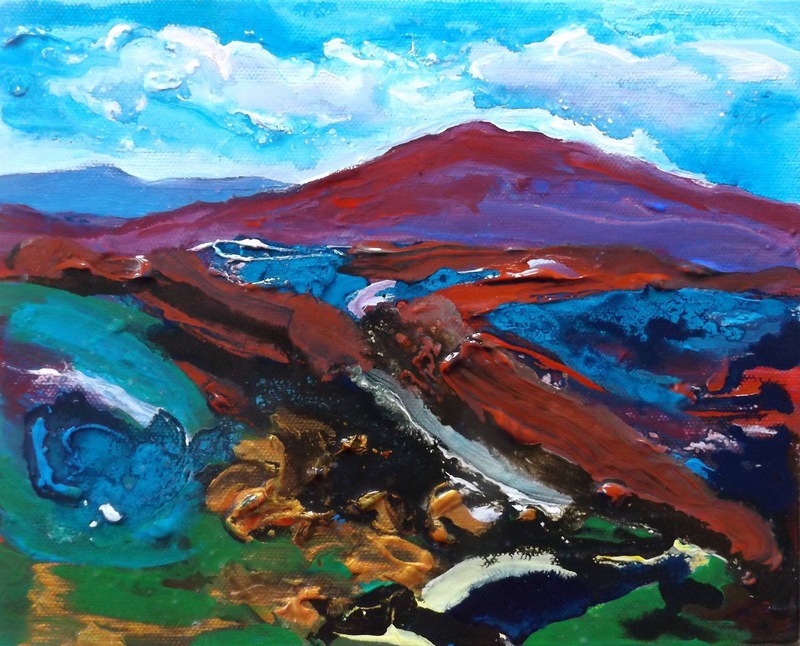 boglands, connemara, deborah watkins, heath, landscape painting, lavelle art gallery, painting, paper, water, west of ireland.